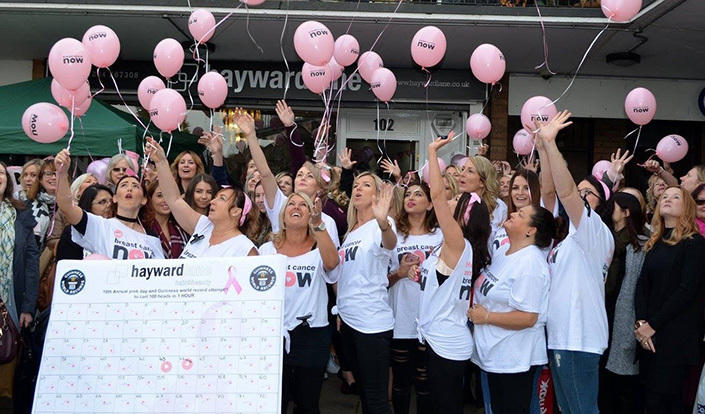 Karen Hayward and Sarah Lane owners of Hayward Lane salon in Bedford decided they wanted to do something world record breaking for wear it pink in memory of Karen’s mum Maureen. 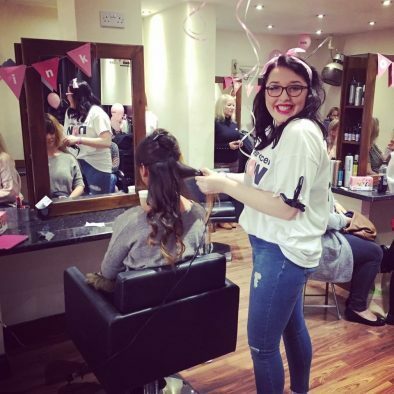 Salon Manager, Emma, shares their wear it pink story with us. 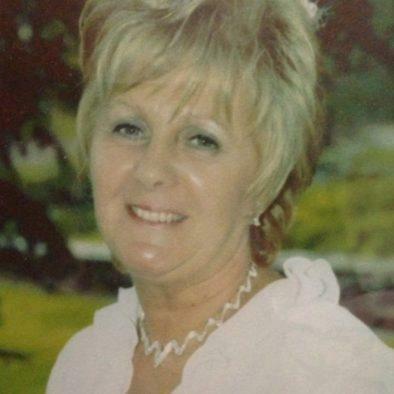 Karen’s precious mum Maureen sadly lost her battle against breast cancer in August 2006. Both Sarah’s mum and my Nan had mastectomys as a result of breast cancer and as a team we felt it was time we did something for the charity. We held our 1st wear it pink day in October 2006 and have held them every year since. There have been lots of different themes and lots of pink. We really do go all out!! In 2010 we decided to get naked and do a calendar – we raised over £2,500 for breast cancer research (for Breakthrough Breast Cancer, one of the legacy charities of Breast Cancer Now). The calendar was a huge hit! It was a huge challenge but the team loved the idea and on the 21st October we did it, curling 121 heads in 1 hour. We were chuffed to bits. Not only that, we also raised an incredible £2,070 for Breast Cancer Now!!! A huge achievement by my brilliant team. How? We charged each model for the challenge £5 and sold raffle tickets and cakes – it was absolute chaos here, but organised chaos in aid of charity!! 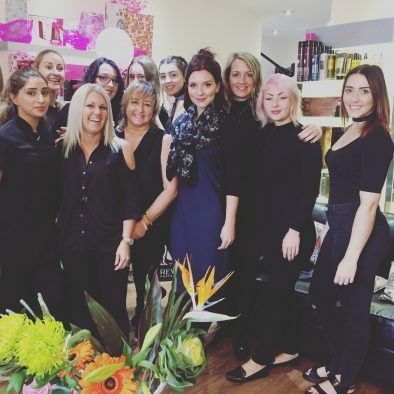 The support we received was amazing and so many people wanted to be a part of the day, we even had a visit from my friend and Great British Bake Off 2016 winner Candice Brown. In total after 10 wonderful wear it pink days, our grand total is over £18,000 – I like to think we have done Maureen proud. Don’t forget that you can pay in your fantastic fundraising online, over the phone or direct to your bank. You are all record breakers in our eyes – thank you for turning the UK pink!